This twin bed comes from my personal collection. Sounds fancy, but in fact I bought it at a yard sale about 10 or 15 years ago. 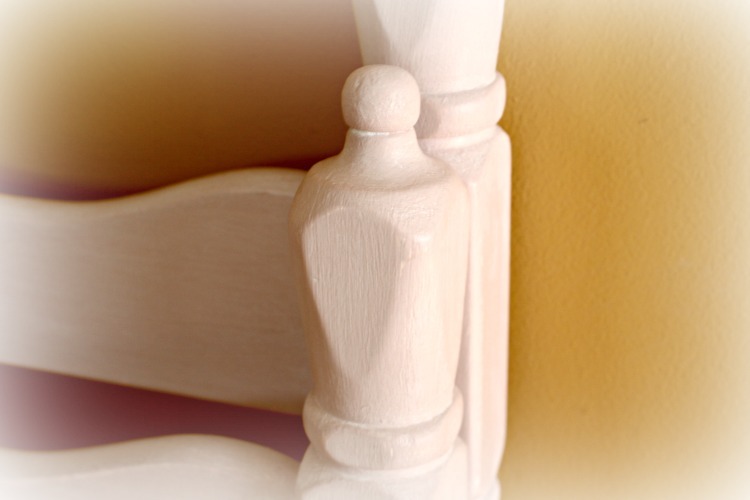 The original finish was brown and I painted it white many years ago. 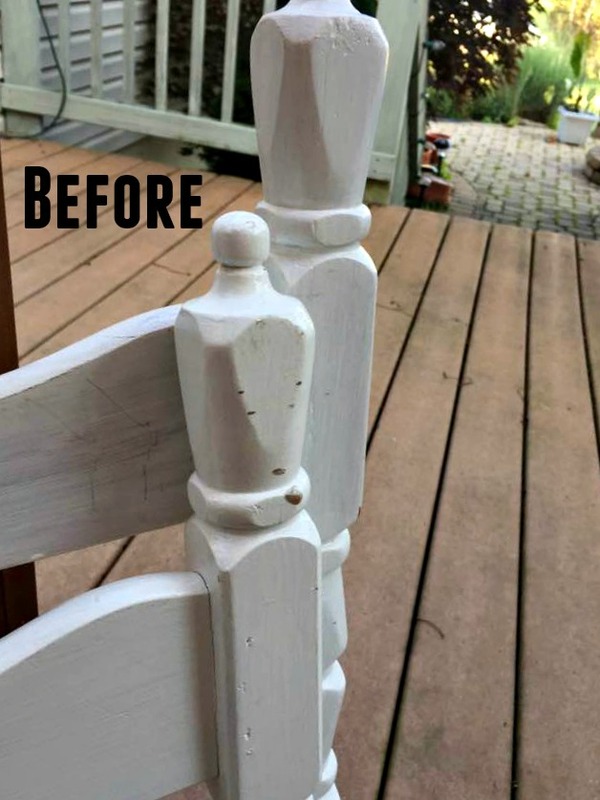 This white finish was one of my earliest refinishing projects. 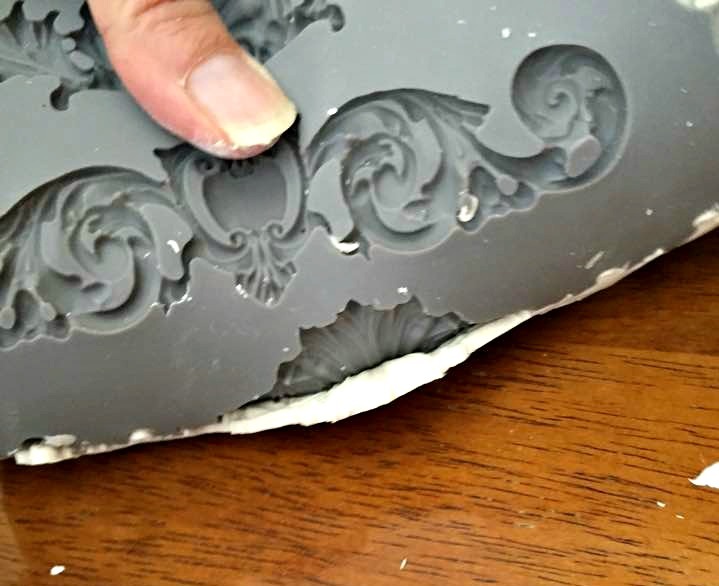 It's received a lot of wear and tear over the years. 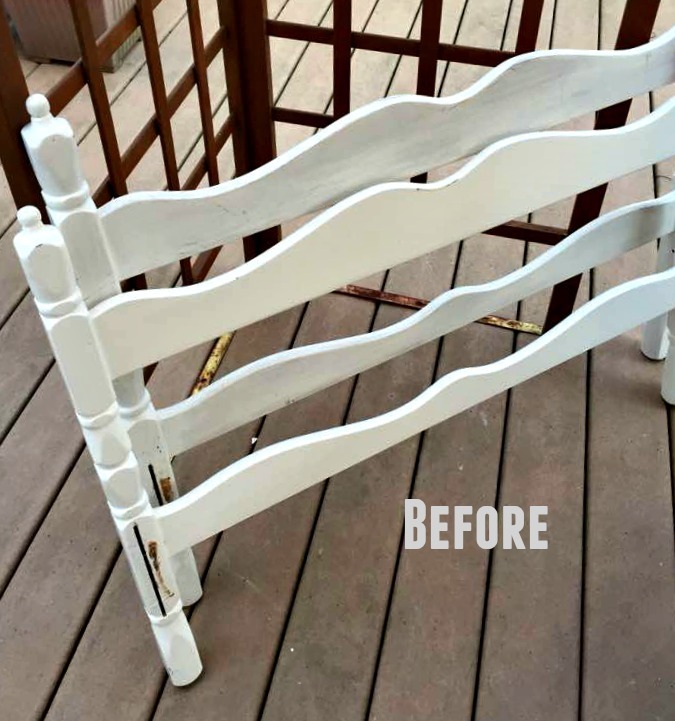 I've been in the market for a new bed to use in my guest room (I'll post that project soon), so I decided to give this bed a face lift and sell it. 15 years of wear and tear! 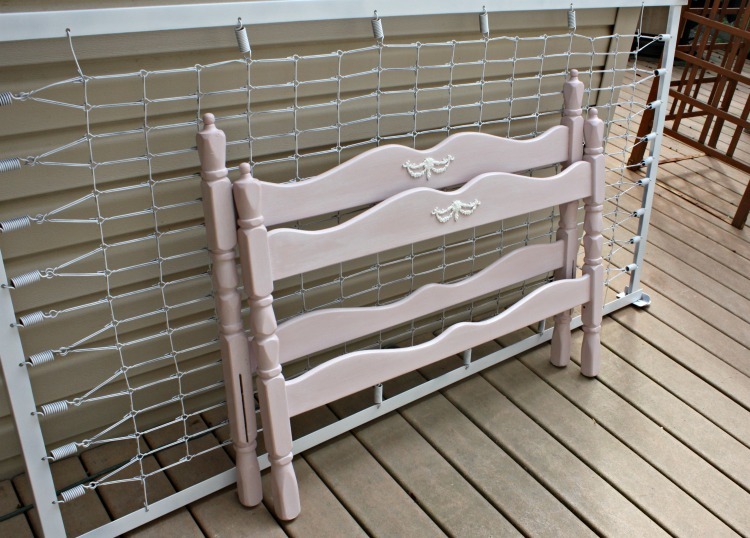 I choose Antoinette Pink chalk paint for my color scheme. 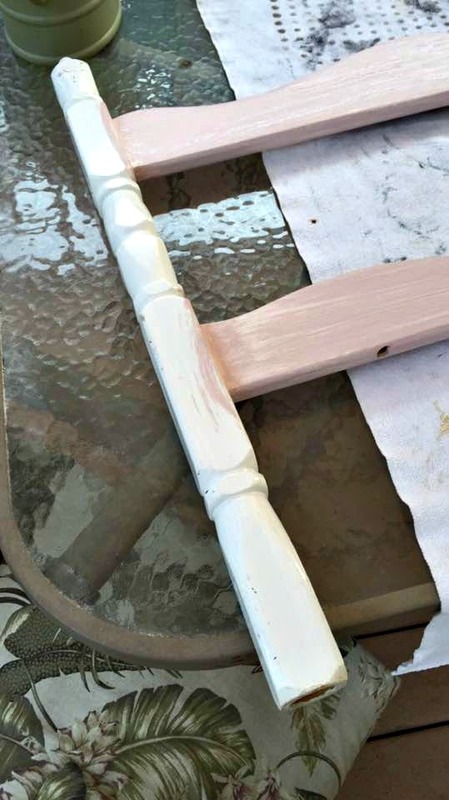 Using the chalk paint meant I didn't have to prime the previous paint first. The painting part of the project was nice and easy. 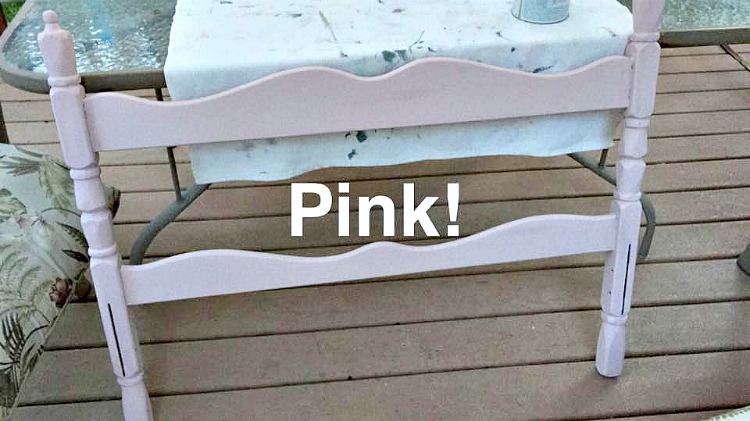 I alternated painting between the headboard and footboard and painted one while the other dried. 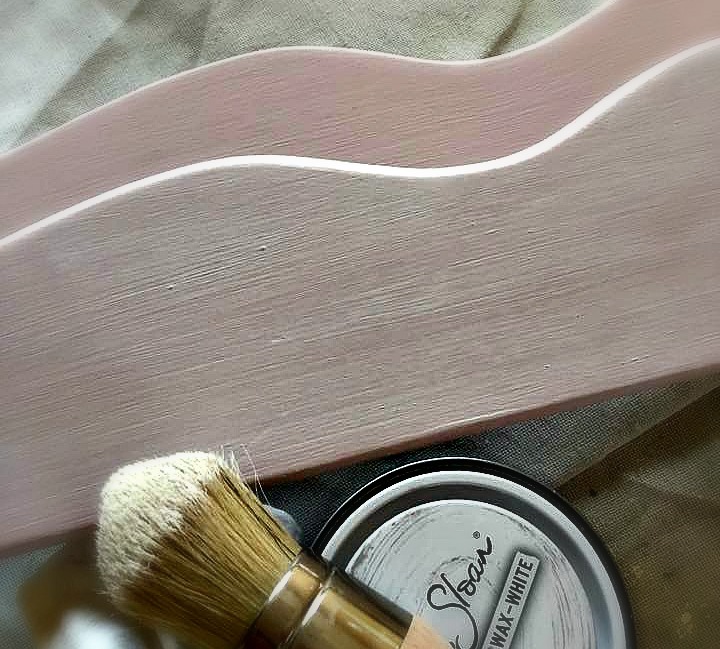 Instead of distressing I decided to apply white wax to soften the pink color and give it a little dimension. The effect is subtle but it did the trick. 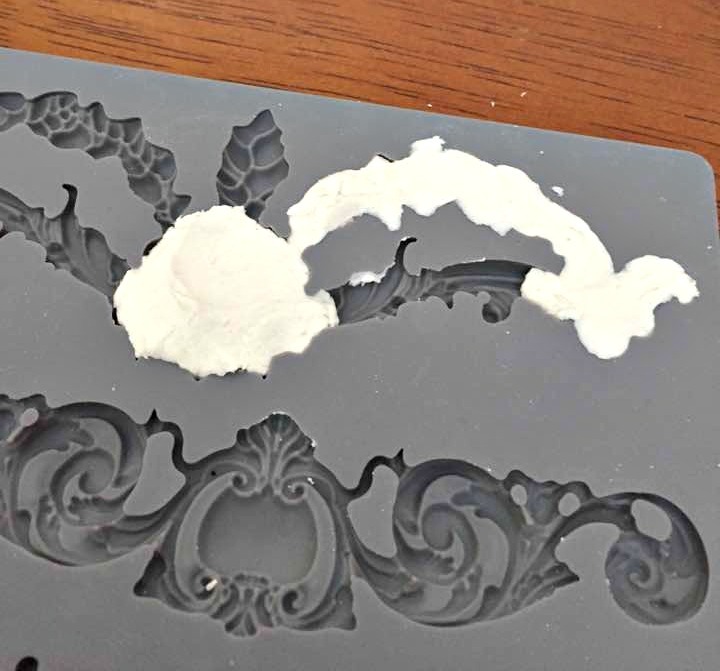 At this point I felt the bed still needed a little something extra, so I decided to make an applique using paper clay. 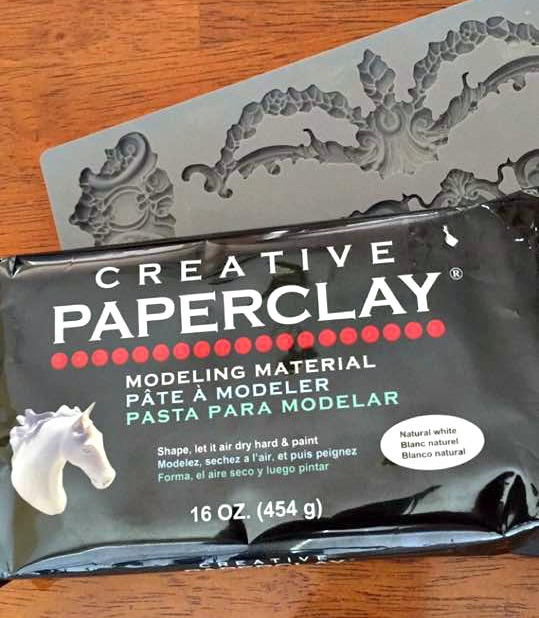 Paperclay doesn't require any baking and it will air dry with little to no shrinkage. 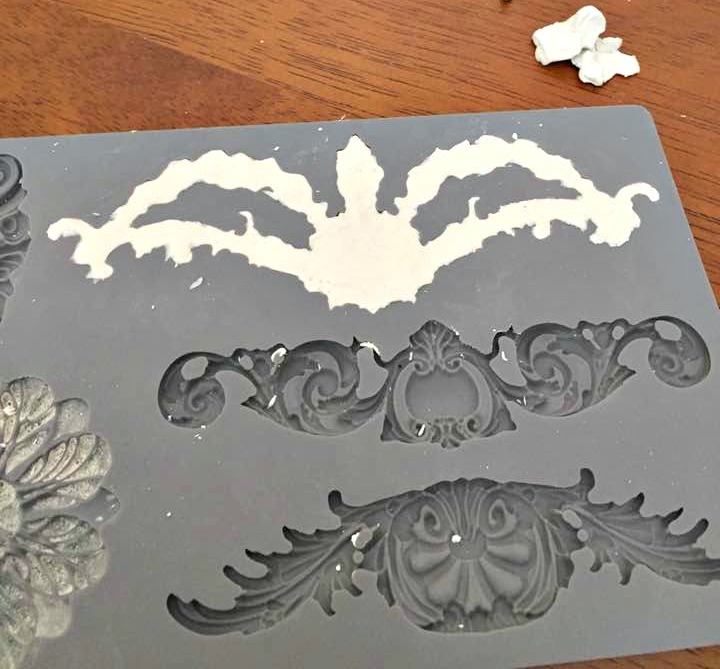 I bought some silicone molds to make the furniture appliques with. First knead the clay a little bit so it's soft and pliable. Then start pushing it into the mold. Continue pushing the clay into the mold until it is completely filled. Smooth off the surface of the clay so that it is as level as possible. I used a metal spatula to smooth it out and then just used my fingers to continue smoothing it. Smooth out the surface of the clay. Finally bend the mold to release the applique. I made two of these, plus a few others, and it was easy to release from the mold. However, it must have been beginner's luck, because when I tried it another day I ruined a few. I've found that dusting the mold with corn starch will help prevent sticking. Release the clay from the mold. 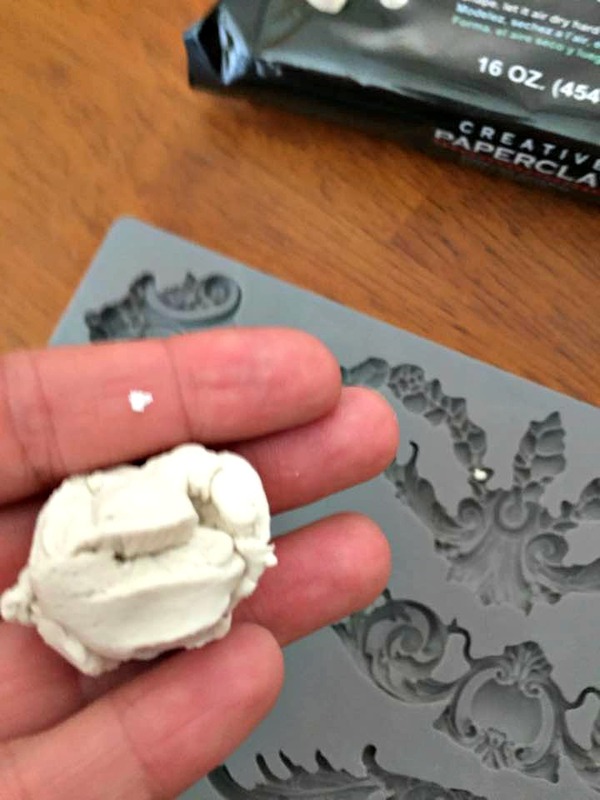 As I mentioned before, the paperclay dries quickly, so seal the unused clay as airtight as possible. 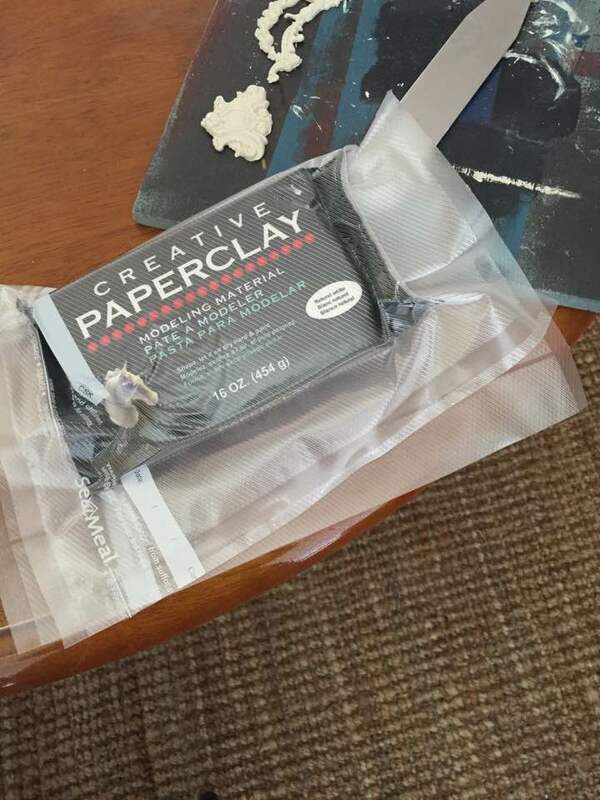 I used my Seal-a-meal to seal my clay. I cut the food bag open when I work on a new project, and then just re-seal the same bag again. So far it has kept the clay as good as new with no drying out. 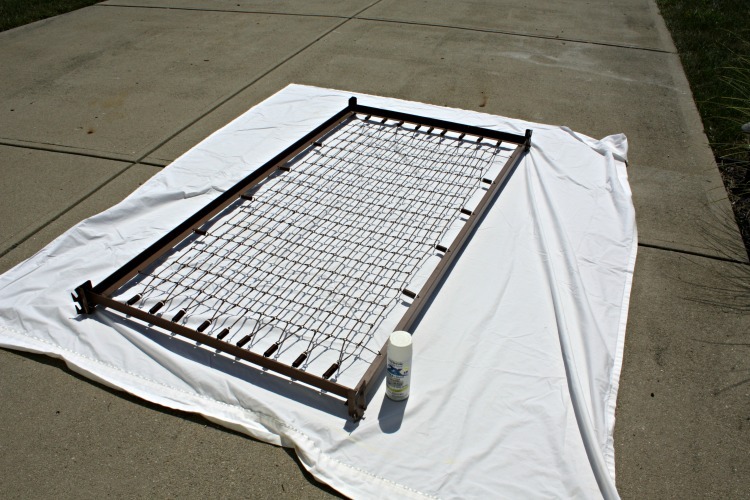 The last part of this project is the metal bed frame. It had a brown finish and just didn't coordinate well with the rest of the bed. 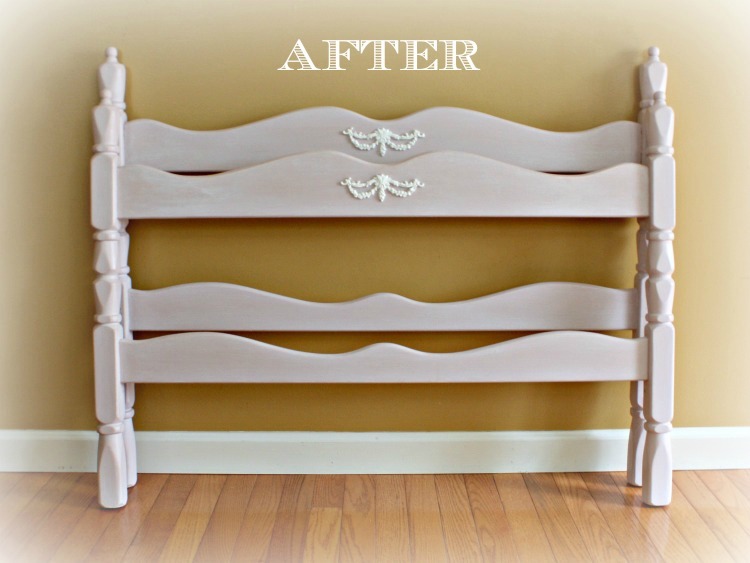 Actually you really don't see it once the mattress is on the bed and if you add a pretty dust ruffle, but sometimes the finishing touches really make a project complete. I applied 2 coats of white spray paint. 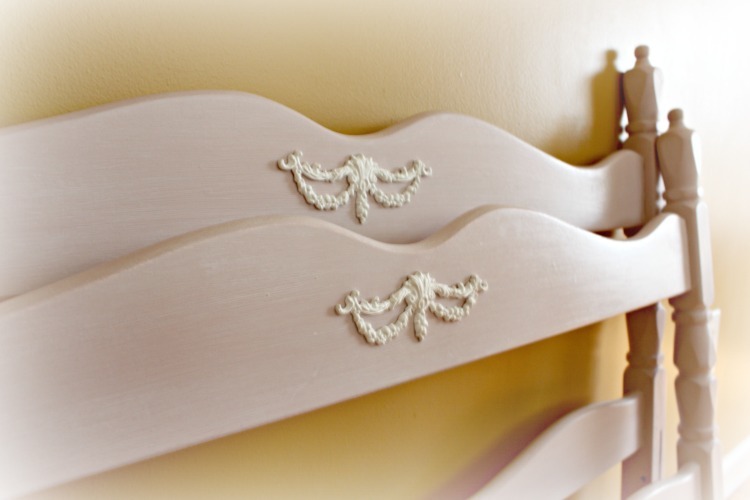 And here's the final bed painted in Antoinette Pink with the handmade appliques. I think it's lovely for a little girl's room. 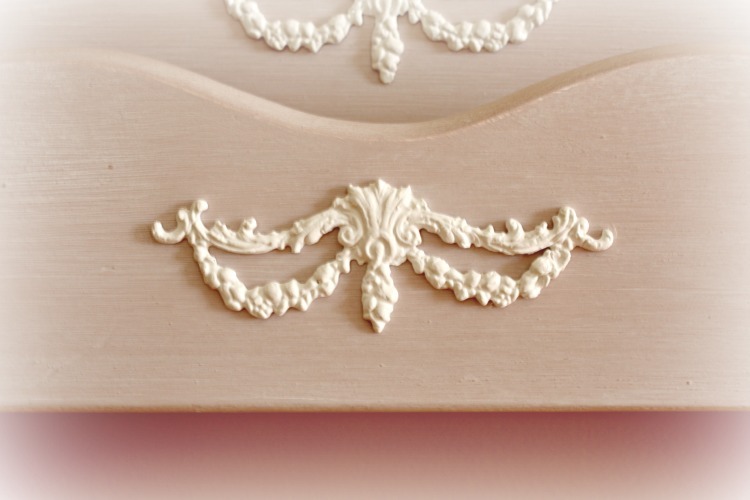 I made two appliques; one for the headboard and the other for the footboard. After the appliques were dried thoroughly (about 24 hours), I painted them white and added a coat of clear wax. 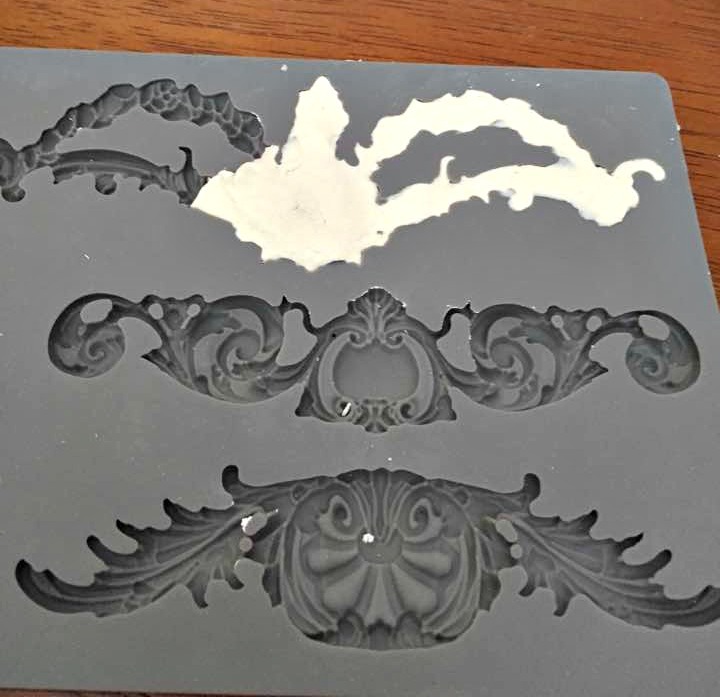 I affixed them to the bed with E6000 craft glue which dries quickly with a strong bond. I've tugged and pushed on the appliques to test the adhesive and they don't budge. I'm happy that I used the white wax to give the pink a little softness. And here's a shot with the bed frame along with the headboard and footboard. I've included a supply list below with some affiliate links in case you're interested in any of the products I used for this project. Thanks for stopping by! Below is a list of supplies I used for this project (affiliate links).